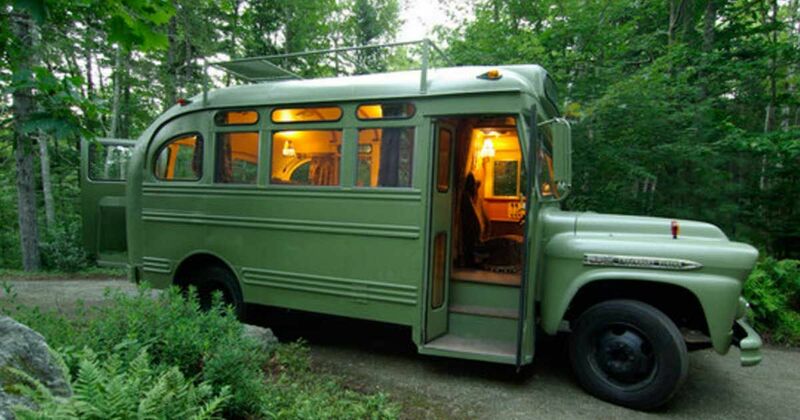 Spend the night in an old bus? 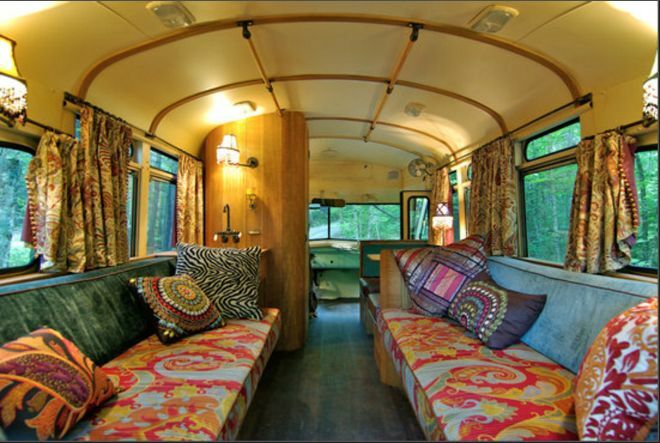 At first glance, most people would not think that this 1959 Chevrolet Viking was a hotel on wheels, but architect Will Winkelman has transformed the vintage bus into an extra room with its own private facilities. 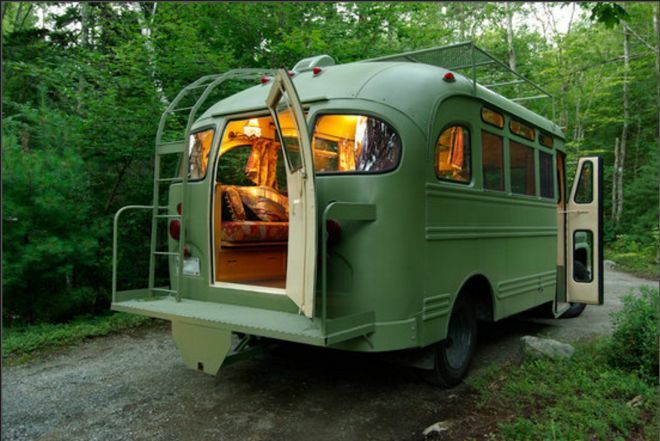 According to On the Road, Winkelman was hired by the bus' owners to take the bus and create a guest room, camper and transportation with extra seating all in one. Winkelman, according to his site, is an architect in Portland, Maine, who has 29 years of experience in the field of design. In 2007 he opened his own private business and focuses on designing buildings that use "renewable energy sources" and "sustainable materials." 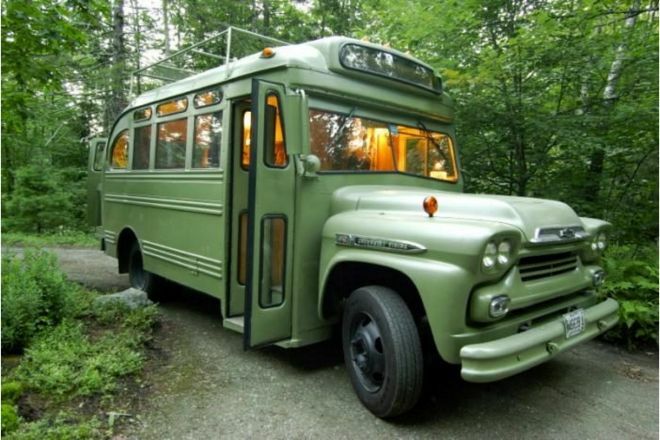 When the bus was finished, it could transport up to 12 people, be used as a camper or be transformed into guest quarters for anyone who stopped in for a visit. 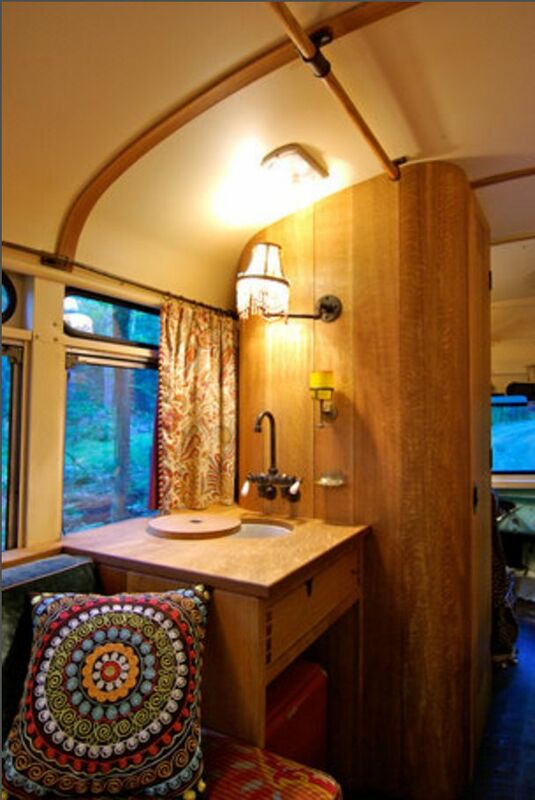 The interior fabrics are reminiscent of the 1960s, and the white oak used for the millwork gives a nice retro feel in keeping with the age of the bus. 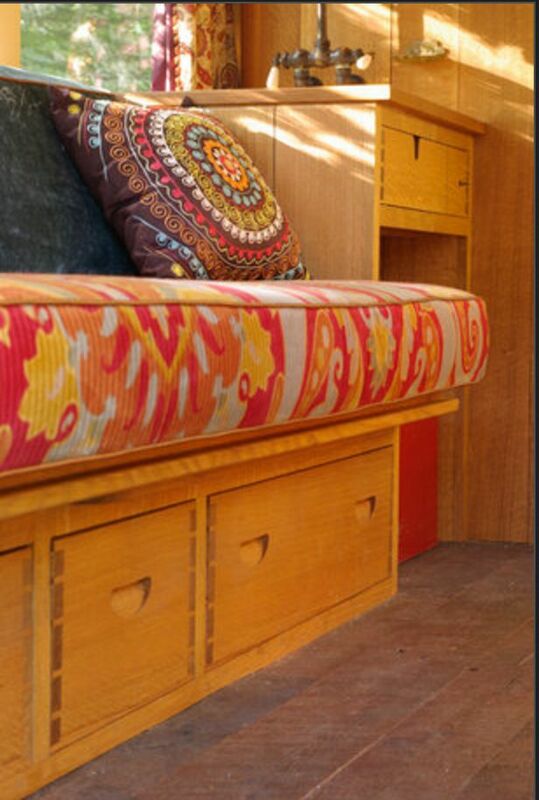 Below each bench seat, storage is tucked away. 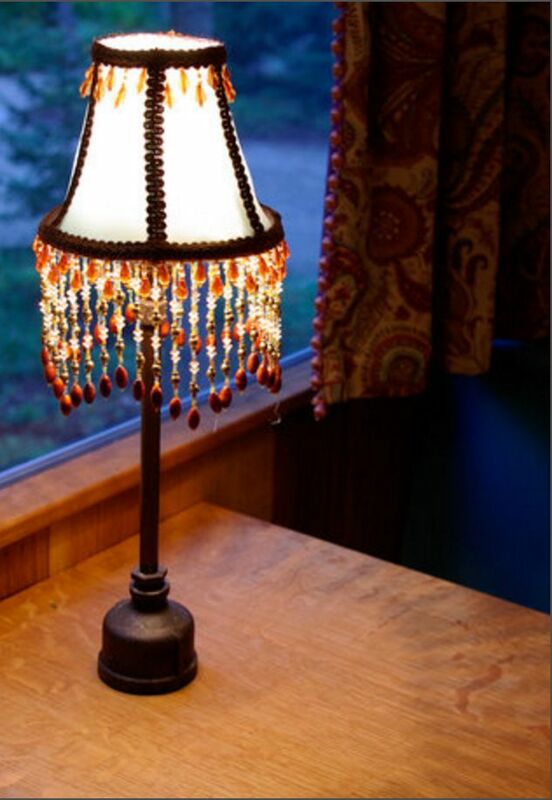 A swinging arm lamp helps to make light more accessible in the cabin, and the beaded fringe goes with the '60s throwback feel. The sink for the bathroom is kept separate from the rest of the bathroom. The benches, when left to the outside, make sleeping for two; but they can be joined together in the center and create a queen-sized bed as well. Seats at the table become seats for traveling along with table seating. 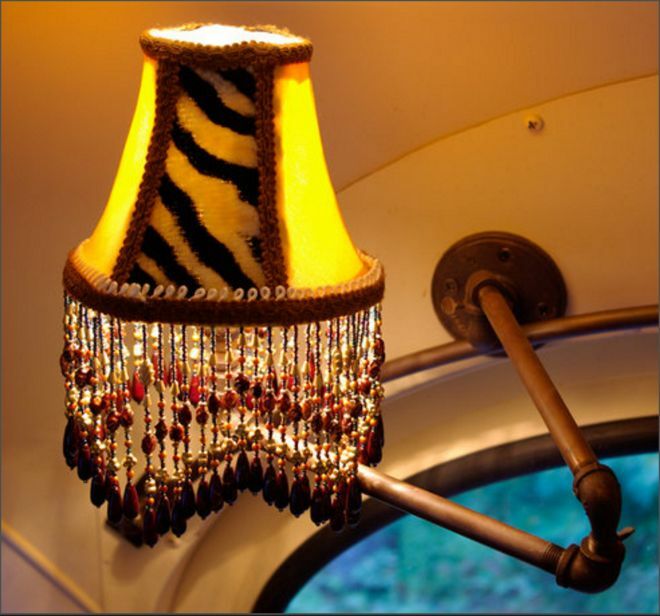 Animal print, beaded fringe and the bending arm are all details that were purposely designed into the bus to get the '60s look. Winkelman even places a fringed lamp on the table. 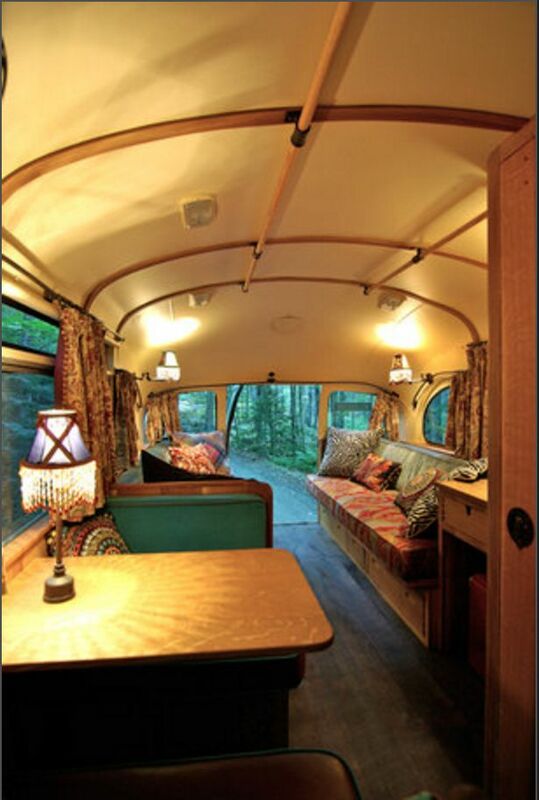 The floor of the bus is from salvaged white heart pine. 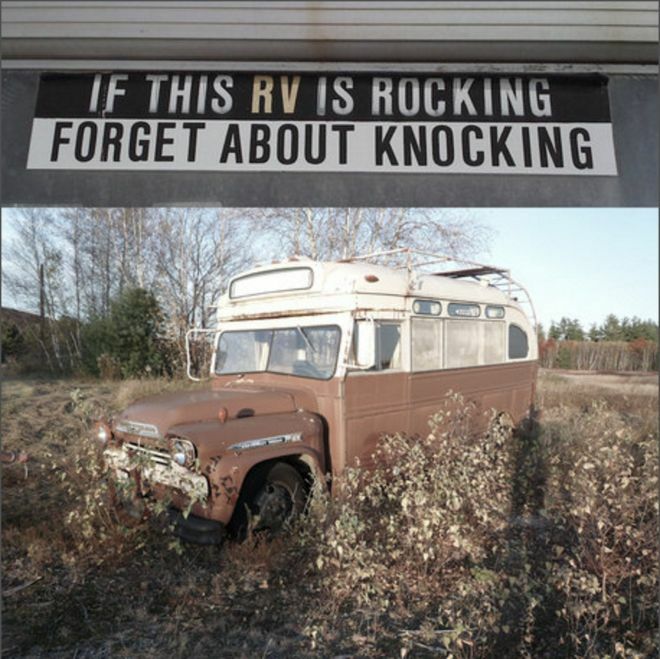 People will definitely give this bus a second look when they pass it on the road. Vintage can be the new vogue if done right. Today, we're introducing you to Pigeon Door's Beetie. This is one darling Double-Decker bus conversion that brings its own unique spin to British glamping. 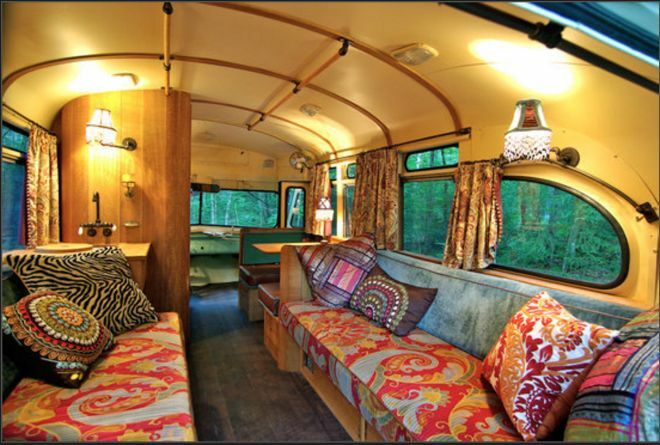 Tucked into the South Carolina forest, there's a 1976 converted school bus that offers visitors the perfect place to camp without having to pitch a tent. The Tokarz family moved from a traditional home to live with their three children in a renovated school bus, decorated with layers of texture and notes of home.